American Brent Bookwalter of BMC Racing Team powered away in the final meters of the climb to Snowbasin Resort to win Stage 2 presented by America First Credit Union of the Larry H. Miller Tour of Utah. Sepp Kuss (USA) of Rally Cycling finished second, with the same time as Bookwalter. By virtue of a tie breaker, Kuss secured the general classification lead which puts him in the Larry H. Miller Dealerships overall leader’s jersey. After launching a surprise solo attack in the final kilometer, Canadian James Piccoli of Elevate-KHS Pro Cycling held on for third on the stage. “It's the first year that the team is here and that I'm here. We've been preparing for a month now at altitude at Park City and doing all the courses. We're super well prepared for this race and really happy to be here. Hopefully we show that we were a good pick,” said Piccoli about his Elevate-KHS team. Bookwalter covered the 94-mile course on Tuesday from Brigham City to Snowbasin Resort in three hours and 38 minutes. “At the end, it was just about picking the right moment and timing it right, and gambling a little too. Coming into this race a little more relaxed and not having my whole season or months of prep riding on this race served me well because I could sort of sit back and say if these guys stayed away, well, it's not like I've been staring at the big asterisk on my calendar, at this day for months. This race obviously means a lot to me and I'm inspired to do well here but that laid back approach helped.” said Bookwalter, who finished third overall at the 2015 and 2016 Tour of Utah. As expected, the first mountain-top finish of the 2017 Tour of Utah brought major changes to the overall leaderboard, with Bookwalter moving into second overall, tied on time with Kuss. Piccoli slots into third, also with the same time. Sixth on the stage, American Robin Carpenter, Holowesko | Citadel Racing Team p/b Hincapie Sportswear moves up to fourth overall, two seconds down. Neilson Powless (USA), Axeon Hagens Berman Cycling Team moves up to eighth place overall and takes over the WCF Insurance Best Young Rider jersey. Ty Magner (USA) of Holowesko | Citadel Racing Team p/b Hincapie Sportswear, who wore the Larry H. Miller Dealerships leader jersey after winning Stage 1 in Logan on Monday, dropped to 52nd on G.C., more than 17 minutes off the lead. 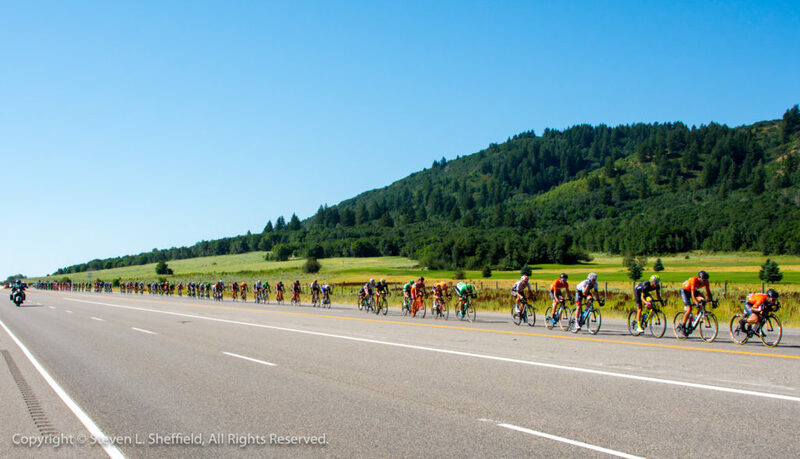 Sunny conditions greeted the riders for the start of Stage 2 presented by America First Credit Union in Brigham City this morning. 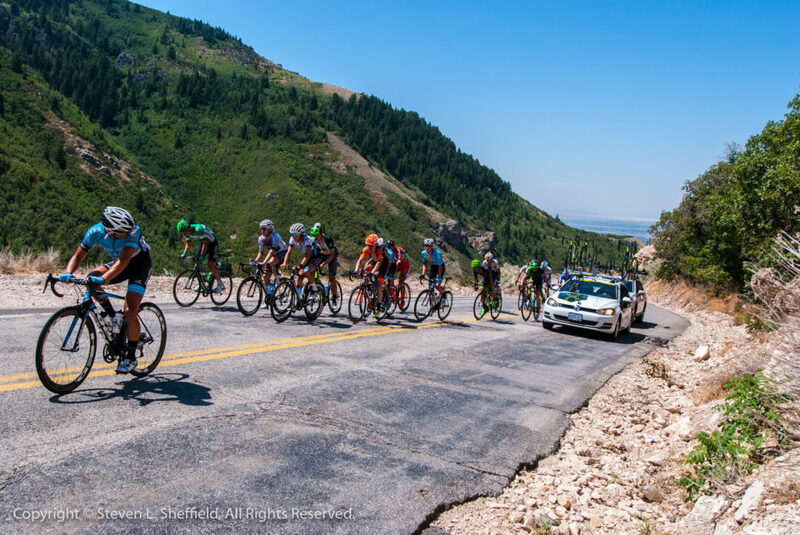 Attacks started immediately from the start, as the riders started the ascent up Sardine Canyon, the first of three Utah Office of Tourism King of the Mountain climbs. Numerous riders tried to escape but the large numbers of riders off the front doomed all moves to failure. One such rider was BMC Racing Team's Joey Rosskopf who took top points on the first KOM. More attacks followed but it took 28 miles of racing before a breakaway was established. Initiated by Rosskopf, the reigning U.S. Pro Time Trial champion, three riders managed to escape and gain a maximum of five minutes and 10 seconds on the field. The break included Oscar Clark (USA), Holowesko | Citadel Racing Team, and Marco Canola (ITA) of Nippo-Vini Fantini. Meanwhile in the field, Rally Cycling took position at the front to control the gap. With 40 miles to go, the gap was down to under two minutes. The trio was ultimately reeled in on the second KOM of the day, the climb up North Ogden Divide. The technical descent led to more attacking but the field down to 40 riders was all together as they started the final climb to the finish line. Canadian Adam De Vos of Rally Cycling countered an attach by Jhonnatan Narvaez (POR) of Axeon Hagens Berman and quickly established a gap to the field. With three kilometers, De Vos was fully committed to his attack, head down and giving it everything he had. “Adam has a super good finishing kick himself. We decided that the climb might not be selective enough to have attacks go from the bottom and have big time gaps. I think when he saw Neilson's teammate go near the bottom, he followed that and it ended up being a pretty good move. And he was out there until the last k[ilometer]. A strong ride by him,” said Kuss. Jacob Rathe (USA) of Jelly Belly Cycling p/b Maxxis retained the Utah Office of Tourism KOM jersey. After taking top points in the first sprint line in Wellsville, Chris Lawless (GBR) of Axeon Hagens Berman Cycling Team takes over the Utah Sports Commission Sprint jersey. Canadian De Vos was awarded the Larry H. Miller Dealerships Most Aggressive Rider jersey. Danny Pate (USA) of Rally Cycling, who has been racing for more than 17 years as a pro, was voted America First Credit Union Fan Favorite for Stage 2, in the category of Most Loved Veteran. Stage 3 presented by Workfront marks the return of the popular individual time trial (ITT), last held in 2011. Starting at an elevation of 7,300 feet, the course climbs 1,725 vertical feet and provides a tough 5.6-mile ascent of Big Cottonwood Canyon Road. The course travels from the Donut Falls Trailhead parking at Reynolds Gulch to the front door of Brighton Ski Resort. The route passes Solitude Ski Resort, towering spruce trees and rock vistas that are part of the Uinta-Wasatch-Cache National Forest. With a 5.5 percent average gradient, the course should favor a strong rider who excels at high altitude.